Where we live, a shovel going into the soil does not make it far. The clang of rocks and a sudden stop don’t make the ground a hospitable place for growing food without much augmentation and work to get the soil conditions right. I am not the patient type. RELATED: Read more about our Urban Garden Project here. My wonderful husband was charged with creating raised garden beds for our front lawn so that we could start our urban garden all on a Colt 45 budget. He went to the local saw mill and purchased 36 – 1 by 6 inch rough-sawn red cedar boards and five 4 by 4 inch posts (dimensional posts). In a couple of days, he built six 4 by 8 foot garden beds at a cost of $42 dollars each. The average retail price is over $200 dollars each. Although I filled the first garden bed with our own compost as well as purchased organic compost, it took a lot of dirt to fill one garden bed. To fill the other five, we will order some organic manure and soil from a local supplier. Starting a garden this size is certainly an investment in the future. We have done it with budget at the front-of-mind. Sourcing wood directly from a local saw mill (there are plenty here on Vancouver Island), purchasing half-dead annuals and perennials at hugely discounted prices and using saved seeds from last year’s gardening exploits. 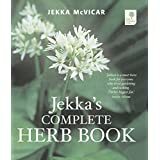 Upon the suggestion of Hazelwood Herb Farm, I ordered a copy of Jekka’s Complete Herb Book and await its arrival so that I can learn more about the world of medicinal herbs. If I’m going to grow all this stuff, it behooves me to know what it’s for, right? All that money and effort will hopefully pay off over the next 5 to 10 years as the perennials become established and annuals reseed themselves. I am motivated by the hope and promise of fresh, organically grown produce, including culinary and medicinal herbs. My sense of joy and inspiration are renewed with all the possibilities growing (or about to grow) in our urban garden. I ordered heritage seeds from West Coast Seeds and Heritage Harvest Seeds.